When Pure Earth sent me their hemp and Healthy Organic Cotton, Buckwheat Filled Pillows to trial, my first reaction was surprise! The delivery man placed the pillow in my arms and they actually dropped a little from the weight. Since when where pillows heavy? The heaviness of a buckwheat husk pillow is just one of the many unique differences between this much healthier, natural pillow and your standard polyester, memory foam, chemically treated cotton, or (inhumane) feather filled pillows. The texture of the pillow is another huge difference, as it is filled with thousands of tiny dried, organically grown, buckwheat husks. A buckwheat husk pillow is not your traditional soft pillow, yet it is it surprisingly comfortable and extremely supportive when you lay your head on it. Think more like a bean bag texture, but finer and not filled with toxic Styrofoam beads. The idea is that your can move and adjust the buckwheat husks to whatever style or height of pillow you prefer. The best thing is you can fill in that section around the neck area and keep your head evenly supported, so no more cricks in the neck or waking up with sore, numb shoulders! My first night trialing my new buckwheat husk pillow was interesting but also successful. I actually slept right through the night! At first I found it a little odd that when I moved the husks around to custom design the shape of the pillow to exactly how I liked a pillow to be and then I lay my head on its side with my ear against the pillow, that I could hear the tiny crackling sounds the husks made as they settled into the shape I had made. I thought that this might start to bother me, but 3 nights later I seriously don’t notice the sound at all. 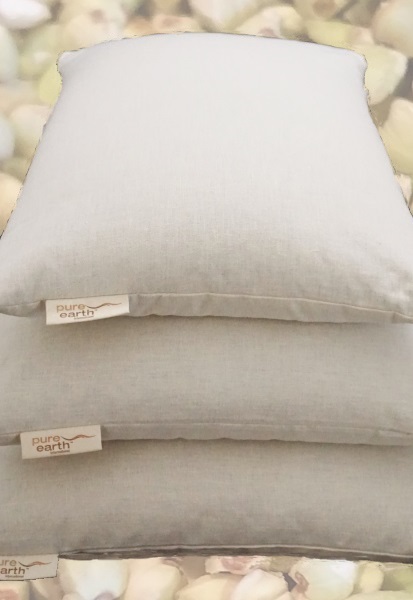 Pure Earth Buckwheat Pillows contain only natural, organically grown buckwheat husks, housed inside a thick, soft outer pillow cover made from a blend of organic cotton and hemp. Pure Earth also sent me a beautifully soft and luxurious Bamboo Fleece Pillow Cover to house and protect my new pillow and I then put this inside my own certified organic cotton Organature pillow case and the result was incredible comfortable. This all natural pillow really does breathe well and remains nice and cool, but most importantly it is completely free from harmful chemicals and it is also not treated with toxic flame retardants – see Toxic Chemicals & Fire Retardants In Mattresses Making Us Sick – Organic Mattresses A Safer, Healthier Option. During the rest of Feb 2016 Pure Earth is giving one lucky LivingSafe reader the chance to win one Standard Size Pure Earth Buckwheat Pillow. CLICK HERE TO GO TO MY COMPETITION PAGE. Pure Earth is also currently having a great 20% OFF SALE on their buckwheat pillows, see here. Before you leave, sign up to LivingSafe and stay informed! 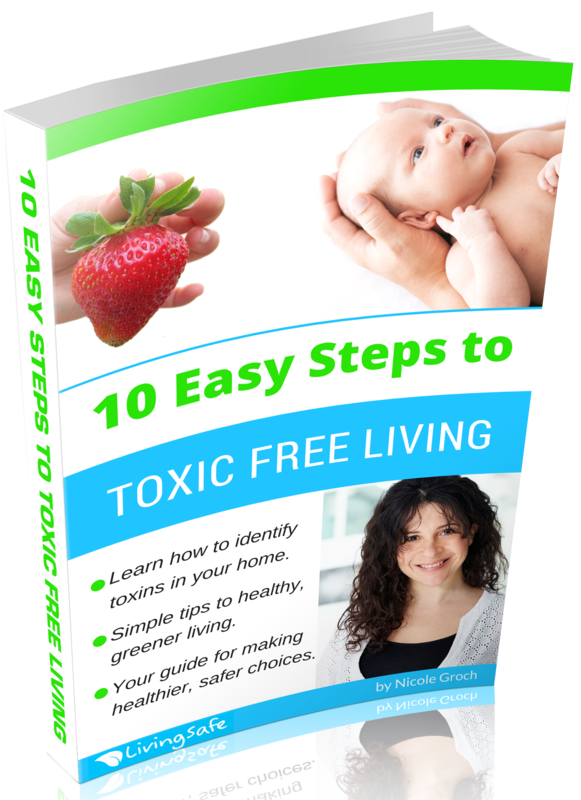 LivingSafe helping you live healthier & safer.